Hello Miami - Art Deco and Miami at its Best! 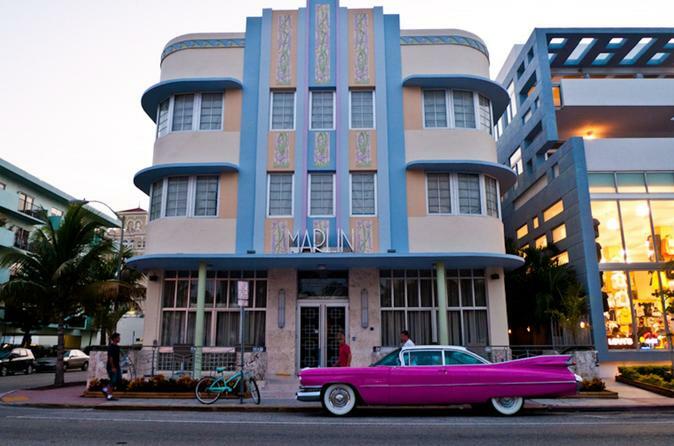 Art Deco and Miami at its Best! EXCITING ART DECO!! What began in Egypt and then to Paris came to us in 1920's. We ride and walk throughout South Beach and the city Miami, Coral Gables, and Coconut Grove..
member of the Professional Tour Guide Association of South Florida where I am the vice president, the Greater Miami Convention and Visitors Bureau, and other local and national travel and tourism organizations. I am able to travel world wide. PRIVATE TOURS only for individuals and groups. Use of a tropical mix of new and old world tour given in every language imaginable. See the South Beach and Ocean Drive, Coconut Grove, Coral Gables and the Biltmore Hotel, and faaaabulous architecture on Brickell Avenue. Our tours are private so we can custom any tour to your wants and desires. Groups of 20 or more will find a reduced price. Bottle of water to make the trip comfortable. Casual and comfortable shoes and attire advised. We provide insect spray in the summer and needed only in the Everglades. Comfortable air conditioned vehicle and expertise of a qualified guide living in Miami since 1973. You need only to provide a gratuity(tip) to the guide, and of course A SMILE! !